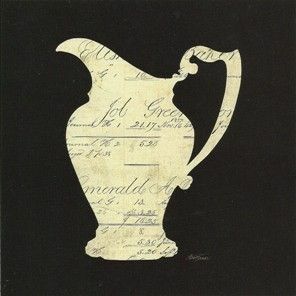 This hollow cut pitcher has an antique ledger behind it. It has a very rich black background ....more so than shown here. in handmade frame of your choice. Off white or faux finish.